'In movement is Life' and by the Grace of the Beloved Allah, Almiraj Sufi and Islamic Study Centre has purchased the building you see above in Broken Hill, NSW, where one of the oldest Mosques built by the Afghan Cameleers in the late 1800's still stands. A very small Muslim community currently resides in the town. The purpose of this building is to establish a Sufi Centre and Sufi Book Shop. There is still space available in the building for the establishment of a small business to help with the upkeep of the building. Through the Grace of Allah a few of our brothers and sisters have already relocated to Broken Hill and are doing the best that they can in the restoration of the building. Any brothers and sisters who would like to help in this great effort are welcome to come for a period of time and join in the work. (Please contact Almiraj Sufi & Islamic Study Centre to make arrangements to visit). The extra help will be greatly appreciated. The building at 158 Argent St. 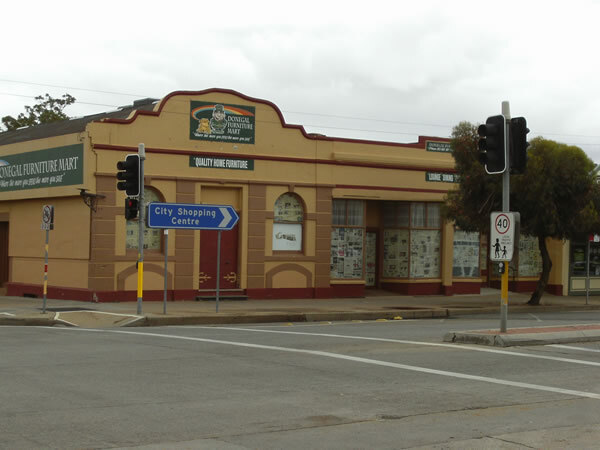 Broken Hill, is on the main st of the CBD, on a busy corner, and will be a wonderful place for the Seeker of Knowledge and for those who are sincere in making an effort towards the establishment of this place for the sake of this great teaching. Almiraj Sufi and Islamic Study Centre has purchased the building, but as you can see from the quotes above, much more is needed to complete the work and for the doors to be opened for ourselves and for the good people of Broken Hill, and for those who come to visit. Indeed, it will be a beautiful and inspiring place for learning. My dear brothers, sisters, and friends, if you can assist in any form, we will be eternally grateful for whatever you contribute. If you are a tradesman and can assist physically with any of the above mentioned or if you can donate a specific amount towards one of these items, may Allah fill your heart with His Light, Love and Knowledge. We will be grateful until the Day of Gathering. Our Beloved Allah has said in the Holy Qur'an "Who is he that will loan to Allah a beautiful loan, which Allah will double unto his credit and multiply many times? It is Allah that gives (you) Want or plenty, and to Him shall be your return." (Holy Qur'an 2:245). We have purchased an 8 tonne moving truck to help those who would like to move from Hobart, Tasmania to Broken Hill, NSW. By using the Centre truck and moving ourselves rather than using a removalist company, the expense of each load has been cut in half to $4,000.00. An average 3 BR home can be moved in one load. 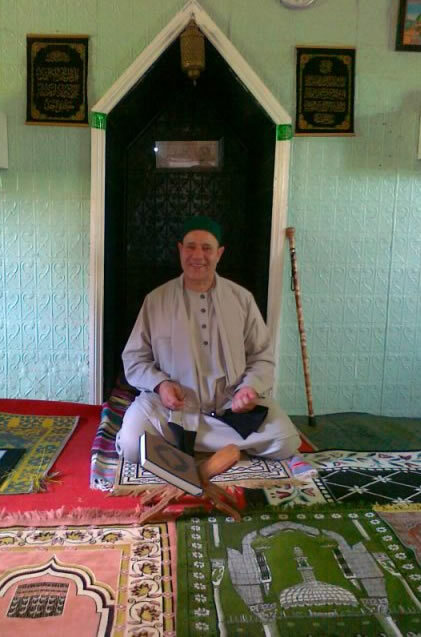 The Murshid has been to Broken Hill three times already, as has Muqaddam Ahmad. Through the Grace and the blessings of Allah, Murshid Ali conducted Friday prayers recently at the Afghan Mosque with the brothers and sisters. At the moment, the residents are gathering at the Sufi Centre and our Brother Dawud is leading the prayer and the reading of texts relevant to the teaching. Our brother Yahya, may Allah look after him, has kept the Holy Qur'an playing continuously 24hours a day to spiritually 'fumigate' the building and fill it with tranquillity and peace. It has been said that the Sufis are the People of the Hand (mukaffaf) because of their generous nature and their desire to be with the Supreme Being, Allah. If you are able to extend this hand a little further towards establishing that which is needed most, we are truly grateful. Donations can be made directly to the Building Fund at The Bendigo Bank BSB 633000 Account #121864144 Almiraj Sufi & Islamic Study Centre. Please ensure that you put your name in the reference field so that contributions can be acknowledged. "And Allah speaks the Truth and He guides to the Straight Path." And He also said "Remember Me and I will remember you." Wa assalamu alaikum wa rahmatullah.